(Newser) – Amazon made another aggressive move against rivals Monday in the quest for online shoppers. The company is temporarily offering free shipping to all customers—Prime or no—on all purchases, reports USA Today. It's the first time Amazon has made such an offer without a minimum order requirement. In a release, the company said the offer is available for a "limited time" without providing specifics. The best guess is that it will run through the holiday season until a week or so before Christmas—while Amazon can still guarantee delivery by the holiday. 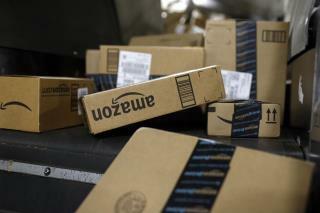 One caveat: While Prime members still get free two-day shipping, the new offer requires customers who partake to settle for the five- to eight-day variety. Companies compete, consumers win. Flying Spaghetti Monster bless Capitalism. Rural users are still the lion's share of on-line retail, and They seem to be leaving Amazon. I don't know if it is the owner's politics, the fact that "5 to seven day shipping" can sometimes mean 10 days, or if it is just that there is more competition. I know I haven't used them for two years. I wonder how much of that $119 a year for Prime membership is used to cover the free shipping costs for the average Amazon Prime member.